Reports confirmed she has been released without the presence of a guardian. 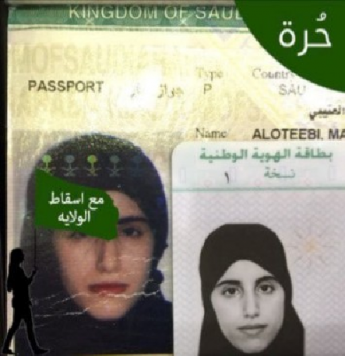 According to information received by the Gulf Centre for Human Rights (GCHR), Al-Otaibi has moved after her release to stay with her married sister in Riyadh, the capital. Subsequently, on 19 April 2017, Al-Otaibi was arrested after her father filed a complaint against her for being absent from the house, using the Guardianship system. She decided to move to Riyadh to work there and be independent in her life, but the Guardianship system can prevent her from doing so. After her arrest, she was transferred to the women’s section of Al-Malaz prison in Riyadh. Under the guardianship system, her father has a right to file a case against her for leaving his house without his permission on charges known as “disobedience” in Saudi Arabia that warrant immediate detention of the accused. Her father’s claims caused her to spend over 100 days in Al-Malaz prison for women before her lawyer appealed for her release based on the lack of evidence for the charges. While the GCHR welcomes the release of Mariam Al-Otaibi, it calls on the authorities in Saudi Arabia to respect women’s rights and recognise their potential to build a prosperous future for all citizens.